Welcome to Political algebra a la DM! 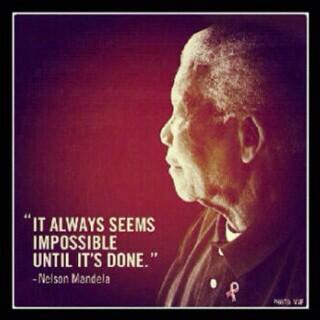 I am one of many who hoped to meet Nelson Mandela in person someday. I am one of millions of Africans in awe of his statesmanship. I am one of billions around the world who knew he would leave us one day, but was shocked by his passing never the less. As the sincere and hypocritical tributes flood in amidst the undignified presidential selfies, and as he is finally interred, I would like to reflect on Mandela’s virtue which inspired me the most. His humility.